A Blast From the Past | "Northern Crossings"
I spent several hours the other day cleaning out the back of my pickup so that I can transport Confirmation students. There were a couple of computers, a power point projector, several brief cases, about 30 books, hunting supplies and ammo, and even some bird feathers back there. I filled two large garbage bags with stuff. I have a lot of stuff. Bob Wurl is one of the original Project 24 guys and recently came back from Africa. Some one asked him if he had a heart melting picture to share and this is what he said….. I don’t know if this or any of my photos will make you melt. 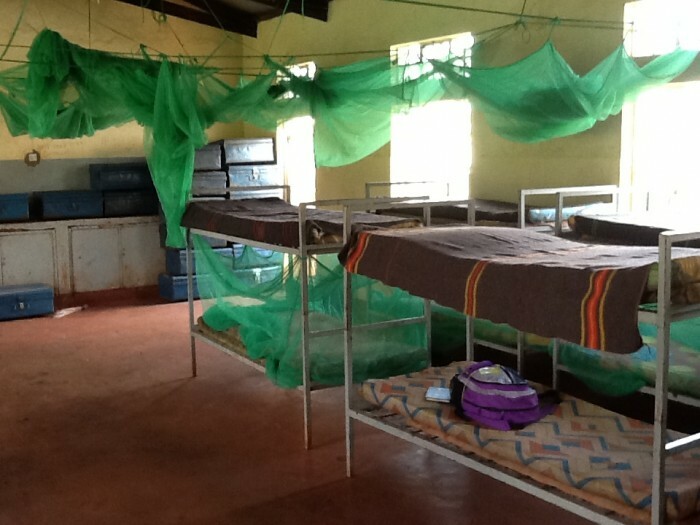 This might be an LMI photo, but also could make you melt if you understand this is where the kids sleep in dorm-style and the blue foot lockers stacked in the back contains all their earthly possessions except the clothes they are wearing, and the books in their school bags. “He who loves silver will not be satisfied with silver; nor he who loves abundance, with increase. This also is vanity. When goods increase, they increase who eat them; so what profit have the owners except to see them with their eyes? The sleep of a laboring man is sweet, whether he eats little or much; but the abundance of the rich will not permit him to sleep. There is a severe evil which I have seen under the sun: riches kept for their owner to his hurt. But those riches perish through misfortune; when he begets a son, there is nothing in his hand. As he came from his mother’s womb, naked shall he return, to go as he came; and he shall take nothing from his labor which he may carry away in his hand” (Ecclesiastes 5:10-15). Maybe we would be better off if everything we owned could be put into a little blue box. It’s not much but we can’t take that with us either. NextThe World’s Greatest Deliberative Body or -That Wacky Senate?